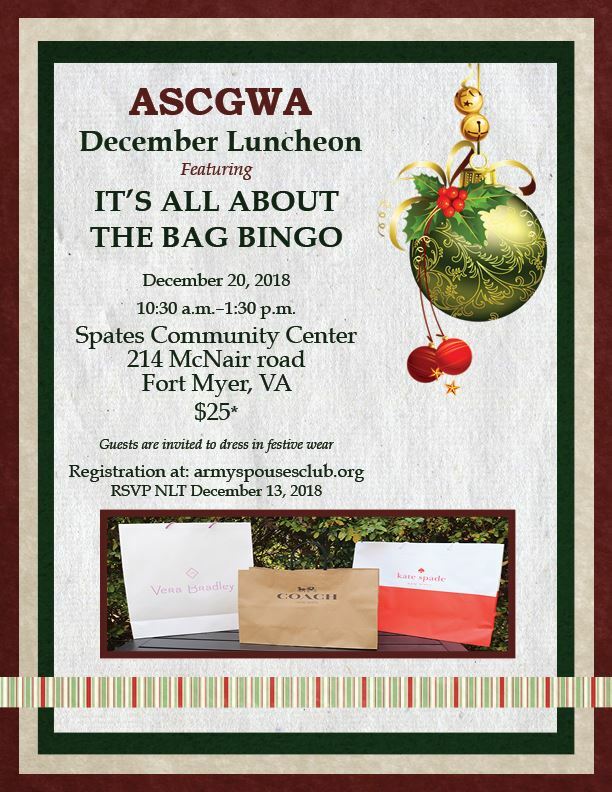 Use this registration if you are an ASCGWA active, paid member for the 2018-2019 club year. ASCGWA members will be able to add additional guest tickets as part of their registration. 214 McNair Road, Fort Myer, VA.